FineStationery.com loves the holiday season! 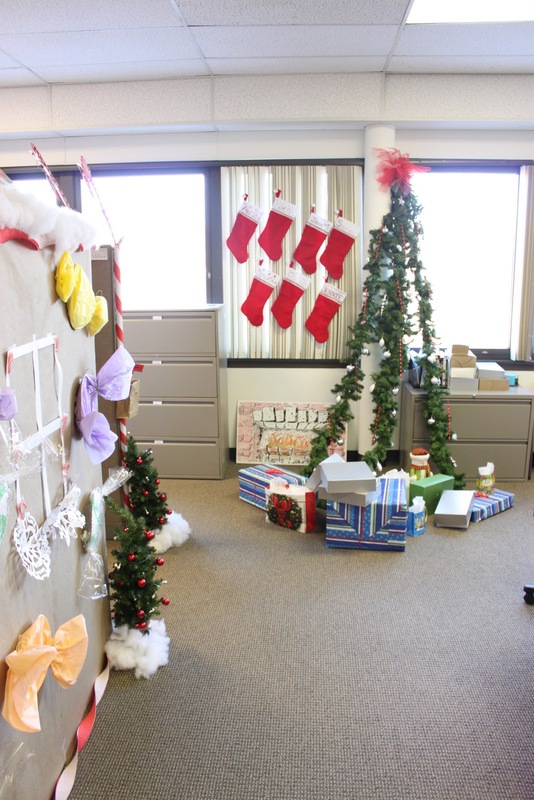 During the month of December, the FineStationery.com office received a little holiday make-over... A few of the departments decorated their space, showing off their creative talents and spreading a little holiday cheer. We all had a lot of fun setting up our decorations after work, and seeing our co-worker’s faces when the displays were complete! 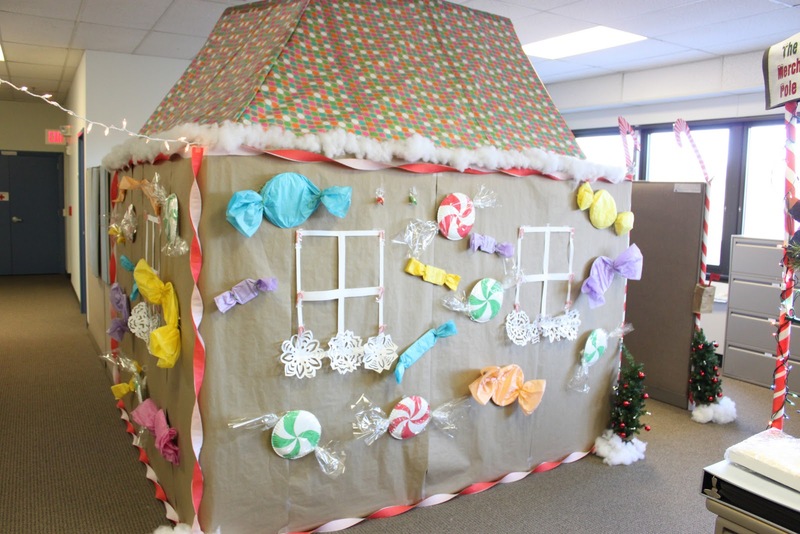 Shannon, from our Business Development group, is lucky enough to work inside the Gingerbread House -- We are all a little jealous of his seasonal accommodations! The Merchandising Group doesn't want to take the Gingerbread House down after the season ends. They are thinking about turning it into a tiki-hut for the spring and summer! Welcome to The Merch Pole -- This is where the Merchandising Group (Marketing and Graphics Production) spent the holiday season! 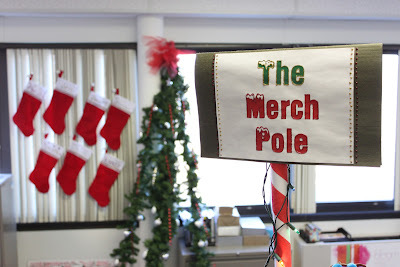 The Merchandising Group hung their stockings with care above the "fireplace" near the "tree"! 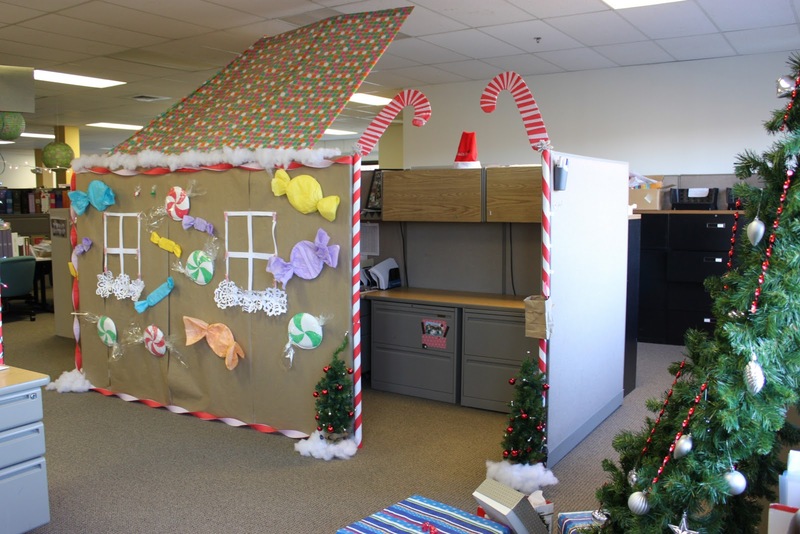 "Santa's Home Office" was constructed by the creative Pre-Press Designers, IT Group and some of our In-House team members. Santa is planning his holiday journey with his PC, iPad and iPhone! Hand-painted murals brighten up Santa's desk area! A little friendly competition shows up with Santa's "list"! As you can see, the FineStationery.com family had a very happy and fun holiday season. We hope that you and your family had a wonderful holiday as well!